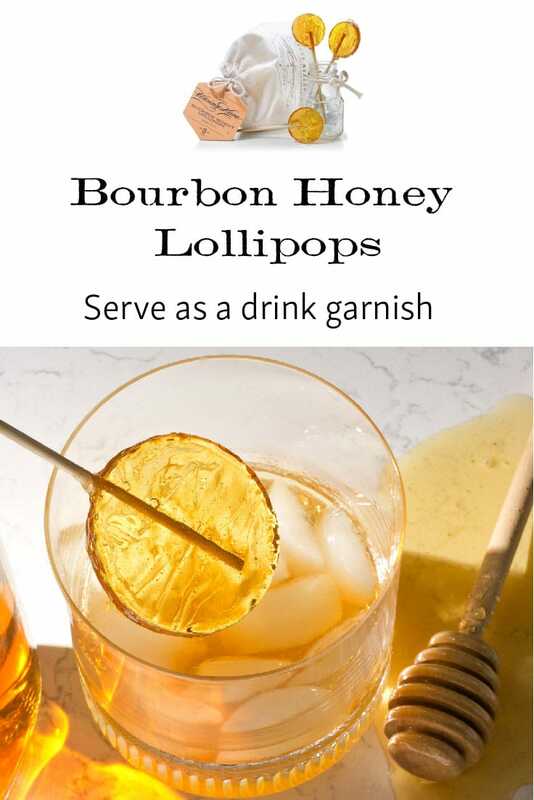 Flavored with natural plant extracts, Bourbon Honey Lollipops are alcohol free and perfect for soothing scratchy throats and sweetening cocktails. Ideal for stirring into a cup of tea or coffee during the cold months. Warm and sweet with notes of caramel and butterscotch. 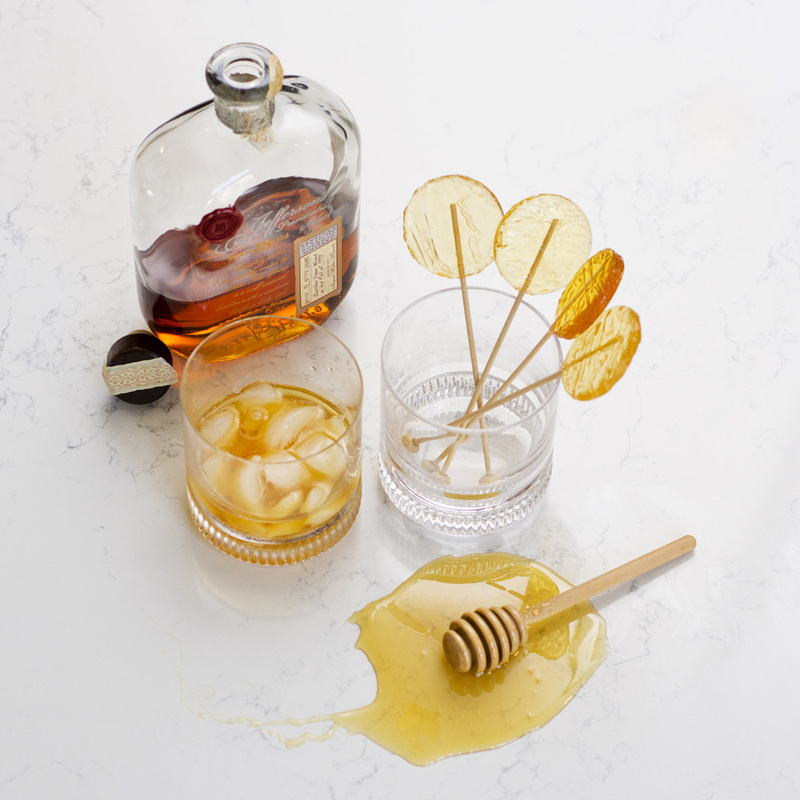 Bourbon Honey Lollipops are a sweet treat for soothing scratchy throats and sweetening cocktails. Ideal for stirring into a cup of tea or coffee during the cold months. 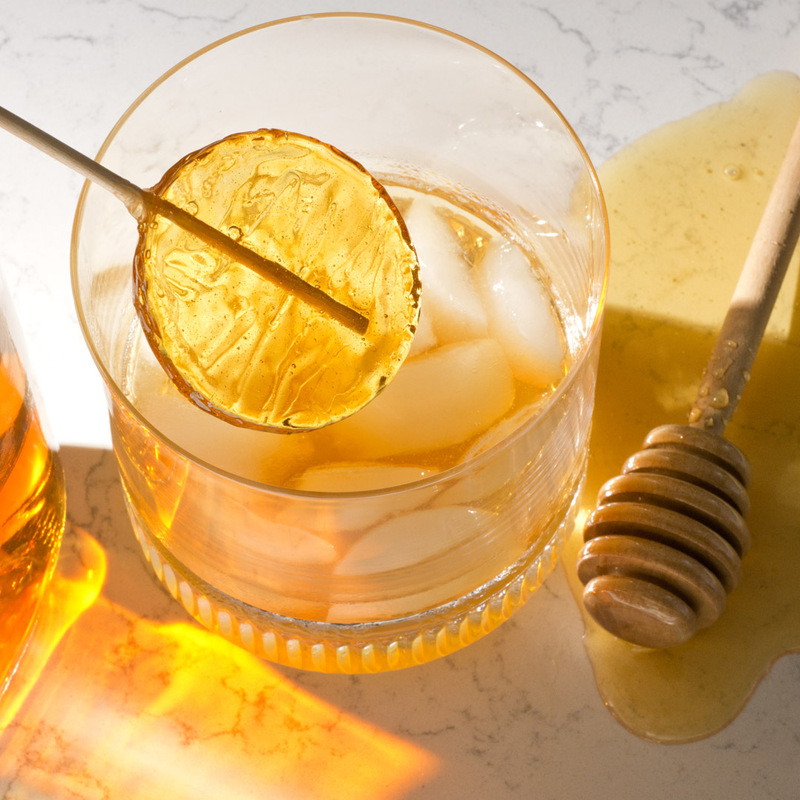 Warm and sweet with notes of caramel and butterscotch. These lollipops are alcohol free! 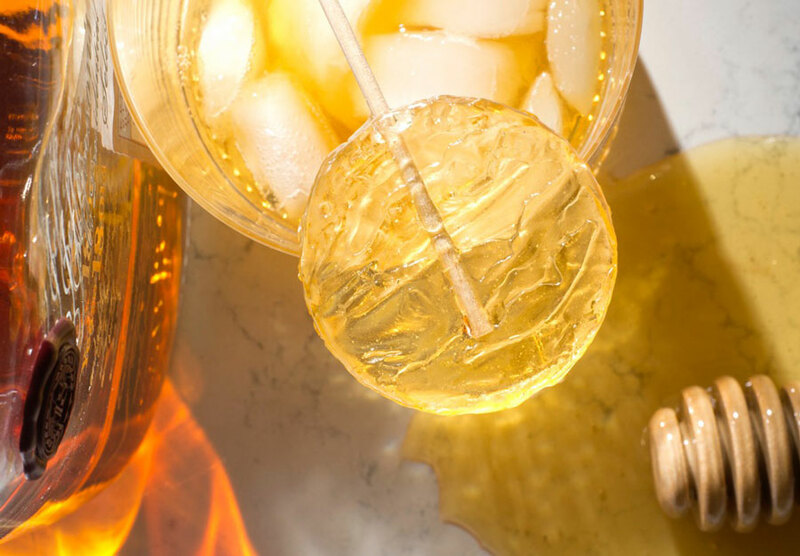 The natural flavoring is plant derived and won’t leave you feeling tipsy. Looking for other flavors of Honey Lollipops? 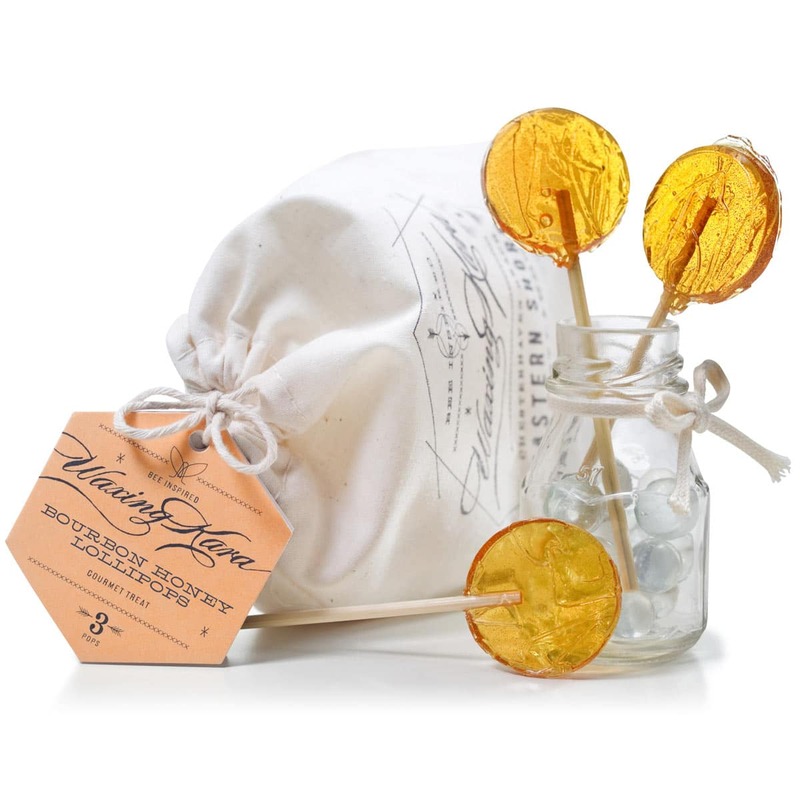 Our Cinnamon Honey Lollipops are a great treat during the cold months too! enjoyed the sweet flavor of honey in a lollipop. Was hoping for just a bit more bourbon taste. I sent these lollipops to friends for a Rosh Hashanah gift. They enjoyed them so much they almost didn’t have any left for the holiday!! !